If you want to talk about coffee business, Saimi’s family have been roasting coffee for several generations. However, he decided there and then to focus in this field since 1986, when Saimi drastically changed directions; dropping out of college and decided to sell coffee cherries, due to financial limitations as well as putting his siblings’ education first. A decision that would change his life later on. In 1996, he plunged into a coffee exporting business and built his own company in Lampung province, and another one in Sidoarjo, East Java, a year after. Now, Indokom Citra Persada is one of the biggest coffee exporting corporations in Indonesia, who employs many sub-companies, including a frozen shrimp packaging company, also located in Sidoarjo. 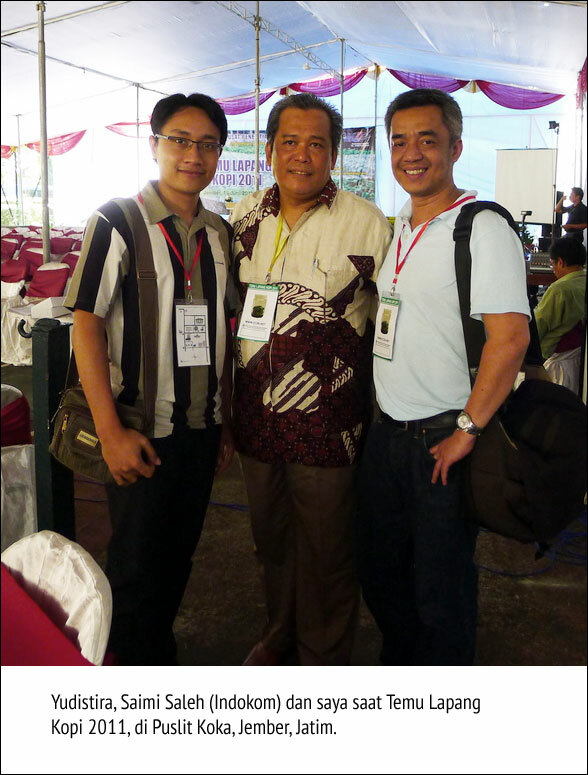 At the coffee conference, Saimi – who was born in Belitang, Ogan Komering Ulu, in South Sumatera – cited on how important this institution was. ICCRI has gained the market trust and it’s has more than just a government research facility. A research centre will be built in every export harbor to support our coffee industry.” Explained Saimi. As a side note, Indokom has created a partnership with the farmers in Bondowoso, who have just received their reward from exporting their coffee to Switzerland, after vigorously trained by ICCRI. Saimi could be seen as an eccentric person, especially by other businessmen. When people are busy collecting money from selling coffee seeds, he gives them away for free to the farmers in many parts of the country. He has been sowing 10 million seeds for the farmers. One needs to simply do the math and wonder – If one seed of coffee in a typical traditional market is worth two thousand rupiah, then how much has he spent in sowing them? 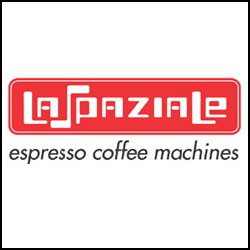 Image 4: All the raw coffee processing equipments which was built on more than a two hectares ground had been assembled domestically. So what makes him so eager to share? Saimi truly believes that the agro industry is the future of Indonesia, a business that has been proven to stay strong throughout the crisis. “As long as mandkind still need food, then this business will keep on growing, and furthermore, coffee is a labor-intensive industry that can fight through poverty.” Saimi stated. “Try to imagine the prospect that this country has. In Indonesia there are 6 million hectares of land located above 1000 meter which is perfect for arabica coffee plantation. Then there are 9 million hectares of land that havent been cultivated and they are located around 400-1000 meter, great for robusta coffee plantation. So in total, there are 15 million hectares of land that are ready to be developed for both kinds of coffee. Let’s say we plant about six million hectares of that land with arabica coffee, with an estimated income of 160 million rupiah per hectare. That doesn’t include milk, timber, spices and also honey, which we can also produce in the same plantation. And that’s only arabica coffee; I mean, we haven’t even talked about robusta coffee yet. Within one or two decades, this country will no longer beg on developing countries.” Explained Saimi vehemently. 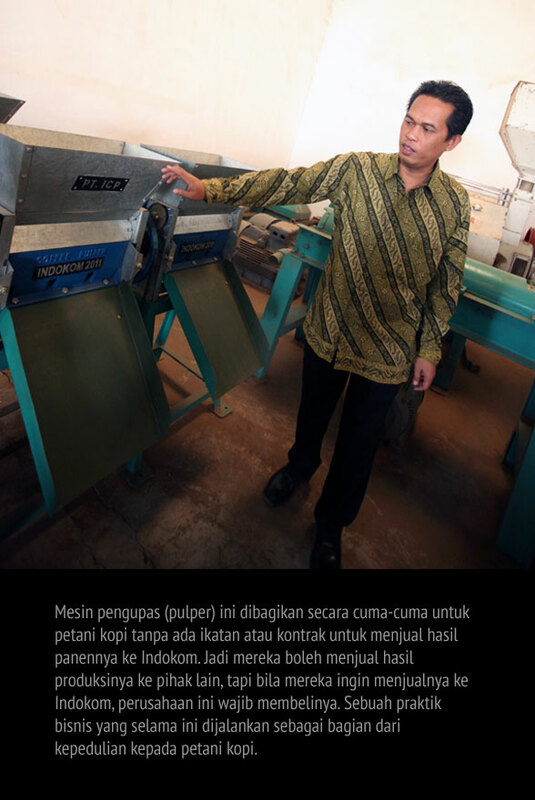 Image 5 : This pulper machine is given out at no cost to be used by the farmers, without any contracts nor obligations to sell their harvest to Indokom. So they can sell their products to other parties, but if they do want to sell their products to Indokom, then the company is obligated to buy them. This is the business etiquette that has been practiced by Indokom, as a part of their genuine concern for the coffee farmers. Corporate’s sharing principles through social responsibilities – often called Coroprate Social Responsibility (CSR) – is perhaps nothing compared to what Saimi has done. For the man who has recently quit smoking, giving coffee seeds is just one of his ways of improving farmers’ lives through his company. Another effort is shown with the pulper machine that he gives away for free. Even though there are only a couple of dozens of them, these machines help the farmers to try the wet processing technique that in turn, improves the quality of the coffee beans being produced. As if giving these machines for free isnt enough, the farmers are given the freedom to choose their own customers, because Saimi doesn’t obligate them to bind any transaction contracts with Indokom. However, if they do wish to sell the harvest to Indokom, then Saimi has the obligation to buy it off them. 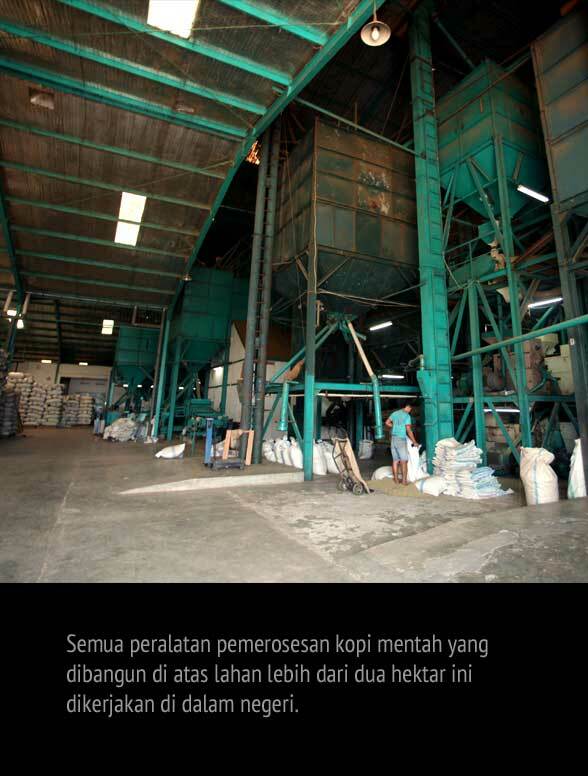 It’s also Saimi’s wish for Indonesia to produce more arabica coffee, since the selling price is quite high. “If it’s possible, the ratio should be 70:30 between arabica and robusta coffee,” he explained. Unfortunately, the discussion with Saimi must come to an end because Saimi had to attend other events, but I was invited to visit his exporting facility in Buduran, Sidoarjo, on Friday, 17th of June, where I would meet his younger brother, Asnawi Saleh. We met Asnawi at a coffee processing facility in Sidoarjo, who took us around for a tour to see the warehouse and the place where the coffee cherries were being processed, all happening on a two hectares land. 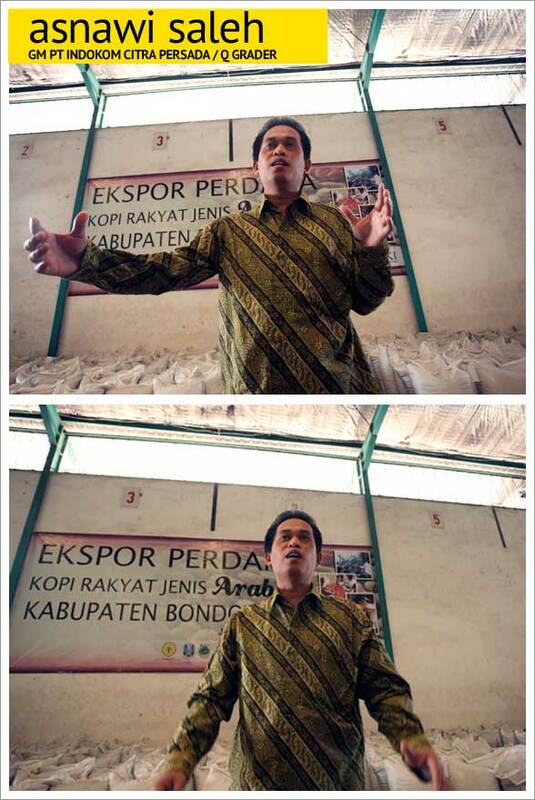 Asnawi, the father of two and graduated with a Civil Engineering degree from a university in Malang, explained the whole coffee processing sequences; from receiving coffee cherries that are sent through containers and trucks to Indokom, sample taking for quality control, processing, sorting and then finally they are ready to be delivered to countries all over the world. According to Asnawi, the company is currently training around eight thousand farmers, especially in Flores, Bali, West Java and several in East Java, like in Bondowoso. 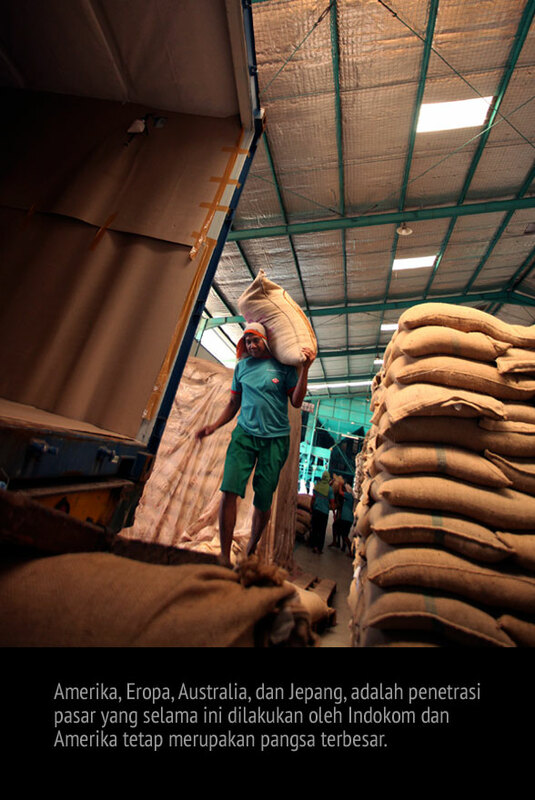 From those farmers, Indokom succeeds in collecting around 88,000 tonnes of coffee every year, in which 60% is arabica, while the rest is robusta. However, the amount varies, because it depends on the harvesting season. Image 7: The United States, Europe, Australia and Japan are the main markets for Indokom, and the U.S. remain as the biggest market segment. 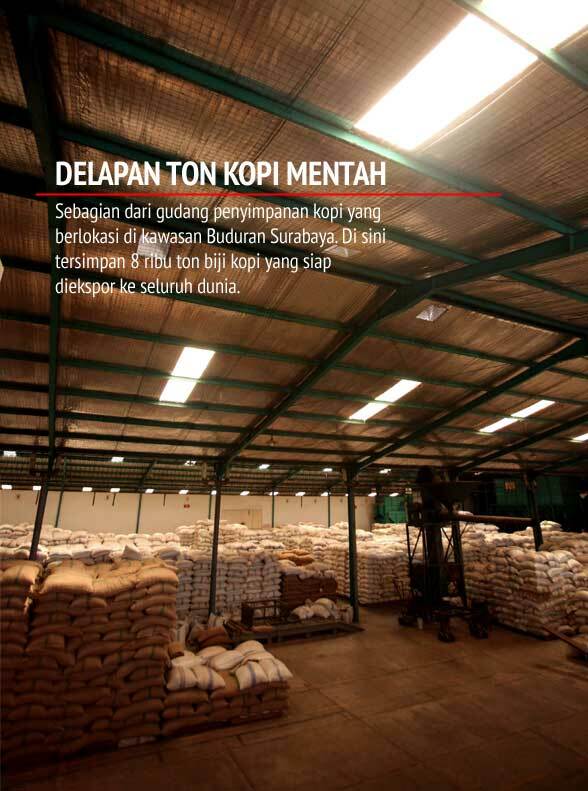 Despite the tonnes of coffee being exported overseas, Indokom remains as supportive as ever in improving the growth of coffee market in Indonesia, especially for the development of cafés that are growing in numbers. These cafés can purchase export quality coffee through Indokom’s sub-company, PT Sabani Internasional, of course with the minimum order of 60 kg of coffee. As of today, their biggest markets are from the United States, Europe, Australia and Jepang, as well as meeting the demands of domestic requests. 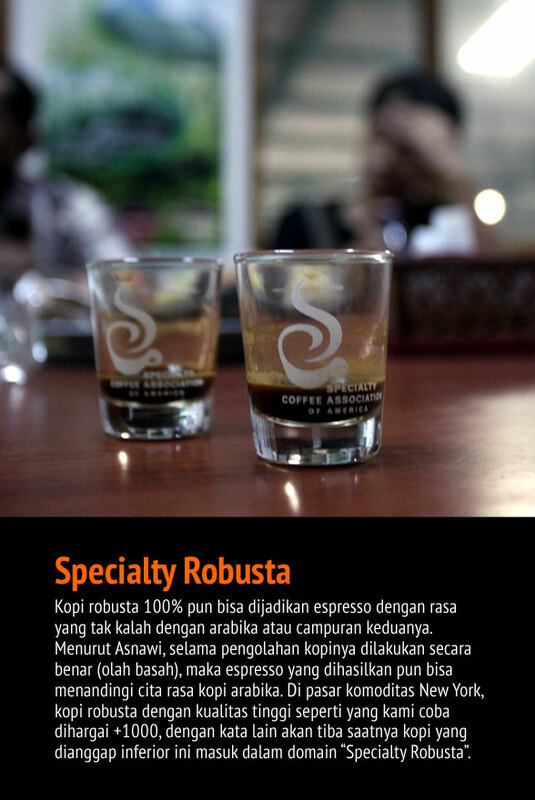 Image 8: Specialty Robusta. 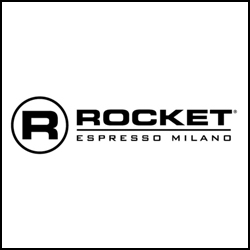 Robusta coffee that is 100% ready to be used to make espresso, and the taste can be pitted with Arabica coffee or a mix of the two. 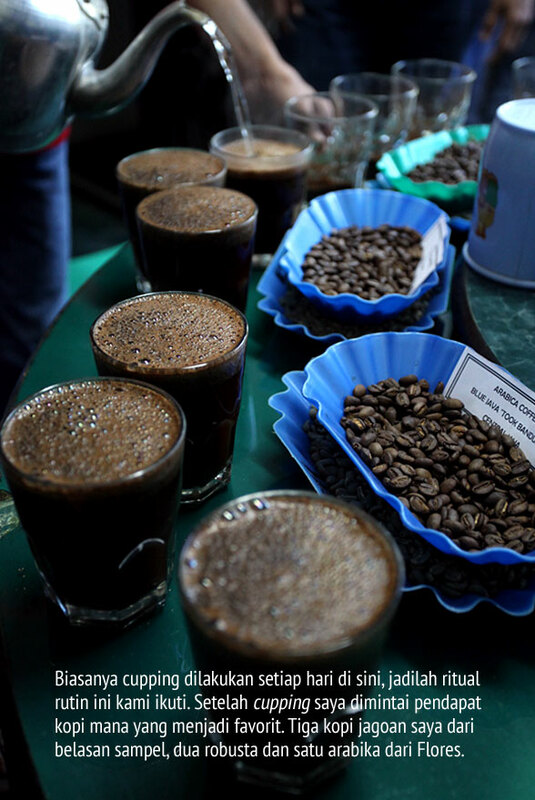 According to Asnawi, as long the coffee is well-processed (using the wet-processing technique), then the espresso is just as good as that produced from Arabica coffee. In the New York commodity market, the high-quality Robusta coffee that we tasted there is valued +1000. In other words, there will come a time when this inferior coffee enter the Specialty Robusta domain. The visit was only for a couple of hours, but I learned a lot from both Saimi and Asnawi, not only about the nitty gritty detail of the coffee export world, but the most important thing was learning about a business ethic that doesn’t just act as words, but also actions, since they’ve been helping and doing good deeds, especially for the coffee farmers. Saimi Saleh (51) bukan hanya senang dikritik oleh petani kopi binaannya, dimarahipun ia akan menerimanya dengan senang hati. Baginya keterbukaan yang disertai kejujuran terutama adalah hal penting dalam menjalankan roda bisnis ekspor kopinya ke mancanegara. Tidak mudah menemui Saimi, kedudukannya sebagai pimpinan puncak Indokom Citra Persada salah satu eksportir kopi terbesar di Indonesia membuatnya harus berburu dengan waktu. Hari ini di Jember, esok sudah harus terbang ke Jakarta, lalu ke Makasar demikian seterusnya. Jadi saat Temu Lapang Kopi di Jember kemarin kebetulan kami berdua bisa berbincang walau waktunya tidak terlalu panjang atas jasa Syafrudin dari PT Sabani Internasional yang mengenalkan saya kepada beliau. Sebenarnya bila berbicara bisnis kopi, keluarga besar Saimi telah “menggoreng” kopi sejak beberapa generasi. Tapi ia mulai meneguhkan masa depannya dibidang ini sejak tahun 1986 saat Saimi banting setir menjadi “penjual” biji kopi setelah menghentikan kuliahnya karena kepepet masalah biaya dan mengalah untuk adik-adiknya. Sebuah keputusan yang kelak mengubah jalan hidupnya hingga sekarang. 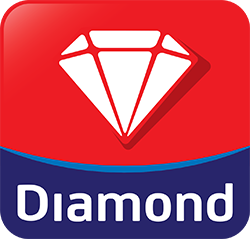 Di tahun 1996 ia mulai terjun ke bisnis eksport kopi dan mendirikan perusahaan pertamanya di Propinsi Lampung dan setahun kemudian di Sidoarjo, Jawa Timur. Sekarang Indokom Citra Persada adalah salah satu perusahaan eksportir kopi terbesar di Indonesia yang membawahi sekian anak perusahaan termasuk pengemasan udang beku, juga di Sidoarjo. Saat mengikuti kegiatan Temu Lapang Kopi di Jember, pria kelahiran Belitang, Ogan Komering Ulu, Sumatera Selatan ini menyitir akan pentingnya lembaga ini. “ICCRI (Puslit Koka) mulai dipercaya pasar dan bukan sepenuhnya alat pemerintah lagi. Kelak saya membayangkan, Puslit akan berada di setiap pelabuhan ekspor untuk mendukung industri perkopian kita” ujarnya. Sebagai informasi, Indokom-lah yang menjadi salah satu mitra bisnis para petani Bondowoso yang baru saja merasakan berkah ekspor kopinya ke negara Swiss setelah setengah tahun sebelumnya di gembleng oleh Puslit Koka. Saimi mungkin pengusaha langka atau setidaknya dianggap aneh oleh banyak pengusaha lain. Sementara orang mengumpulkan uang dari penjualan benih kopi ia justru membagikannya secara cuma-cuma kepada petani di berbagai wilayah Indonesia. Bayangkan saja, sejak tahun 2005 ia sudah menebar 10 juta bibit untuk para petani. Bila satu bibit kopi di pasaran berharaga 2000, Anda tinggal mengalikannya saja. Mengapa ia ingin berbagi ? Saimi meyakini betul bahwa agro industri adalah masa depan bangsa ini, sebuah bisnis yang terbukti tahan terhadap krisis. “Selama manusia membutuhkan makanan, maka selama itu pula bisnis ini akan berkembang dan kopi adalah industri yang padat karya dan bisa mengatasa masalah kemiskinan” yakinnya. “Coba bayangkan potensi negeri ini, di Indonesia terdapat 6 juta hektar tanah yang berada di atas ketinggian 1000 meter yang cocok untuk kopi arabika. Lalu 9 juta hektar tanah yang belum digarap dan berada di antara ketinggian 400-1000 meter untuk kopi robusta. Jadi total tanah yang siap digarap sebanyak 15 juta hektar untuk kedua jenis kopi ini. Katakanlah kita menanami lahan untuk kopi arabika yang enam juta hektar itu dengan penghasilan rata-rata sekitar 160 juta per hektar. Belum ditambah susu, kayu, rempah, madu, yang bisa kita hasilkan pada perkebunan tersebut. Kira-kira US$ 20 ribu per hektar dikali 6 juta, sekitar 120 milyar dolar. Itu baru dari kopi arabika, belum robusta. Satu atau dua dekade ke depan, bangsa kita tidak akan lagi mengemis ke negara maju” kata Saimi bersemangat. Prinsip berbagi bagi korporasi besar yang diterapkan melaui program tanggung jawab sosial atau Corporate Social Responsibility (CSR) mungkin masih jauh dengan apa yang telah dilakukan Saimi yang baru saja menghentikan kebiasaan merokoknya. Buatnya, membagikan bibit kopi hanya salah satu caranya dalam merangkul para petani untuk maju bersama perusahaannya. Upaya lain adalah dengan membagikan alat pengupas biji kopi atau pulper kepada para petani tanaman kopi ini. Walaupun jumlahnya masih puluhan, alat ini sangat membantu petani dalam melakukan olah basah atau wet processing demi perbaikan kualitas biji kopi yang mereka hasilkan. Bukan hanya gratis, petani malah boleh menjual hasil panennya kepada pihak lain karena Saimi tidak mewajibkan mereka untuk menjalin kontrak jual beli dengan Indokom. Tapi bila mereka ingin menjualnya kepada Indokom, maka Saimi berkewajiban membelinya. Saimi juga berkeinginan agar Indonesia lebih banyak memproduksi kopi arabika karena harganya yang lebih tinggi. “Kalau bisa 70:30 antara arabika dan robusta” ujarnya. Pembicaraan yang hangat sayangnya harus diakhiri karena Saimi harus segera menghadiri acara lain, tapi saya diundang untuk mengunjungi fasilitas eksport mereka di kawasan Buduran, Sidoarjo di hari Jumat tanggal 17 Juni dan bertemu adik kandungnya, Asnawi Saleh. Di fasilitas pengolah kopi di Sidoarjo kami ditemui Asnawi yang mengajak kami berkeliling melihat gudang dan tempat pengolahan biji kopi mereka di lahan seluar dua hektar. Asnawi, bapak dari dua anak, lulusan Teknik Sipil salah satu Perguruan Tinggi di kota Malang menjelaskan proses dari penerimaan biji kopi mentah yang dikirim melalui kontainer dan truk ke Indokom, pengambilan sampel untuk pemeriksaan kualitas, pengolahan, sortir, hingga siap diekspor ke berbagai negara. Saat ini menurut Asnawi, perusahaannya membina sekitar 8 ribuan petani terutama di kawasan Flores, Bali, Jawa Barat dan sebagian di Jawa Timur seperti daerah Bondowoso. Dari para petani tersebut, Indokom berhasil mengumpulkan sekitar 88 ribu ton per tahun dengan komposisi terbanyak untuk kopi jenis arabika sebesar 60% dan sisanya robusta, tapi jumlahnya bisa berubah tergantung musim panen. Image 10: Cupping is a daily thing here, so we participated in this routine ritual. At the end of the event, I was asked to choose my favourites. Out of the dozens of selection, there were three that stood out well; Two were Robusta, and one was an Arabica from Flores. Jangan khawatir dengan jumlah sekian ton yang mereka distribusikan keberbagai negara karena Indokom tetap mendukung pengembangan kopi di tanah air terutama cafe-cafe yang banyak bertebaran. Mereka bisa membeli kopi kualitas ekspor melalui anak perusahaannya PT Sabani Internasional, tentu saja dengan minimum order per karung atau 60 kilogram. Saat ini pasar terbesar mereka tersebar di Amerika, Eropa, Australia, dan Jepang, selain tetap memenuhi permintaan di dalam negeri. 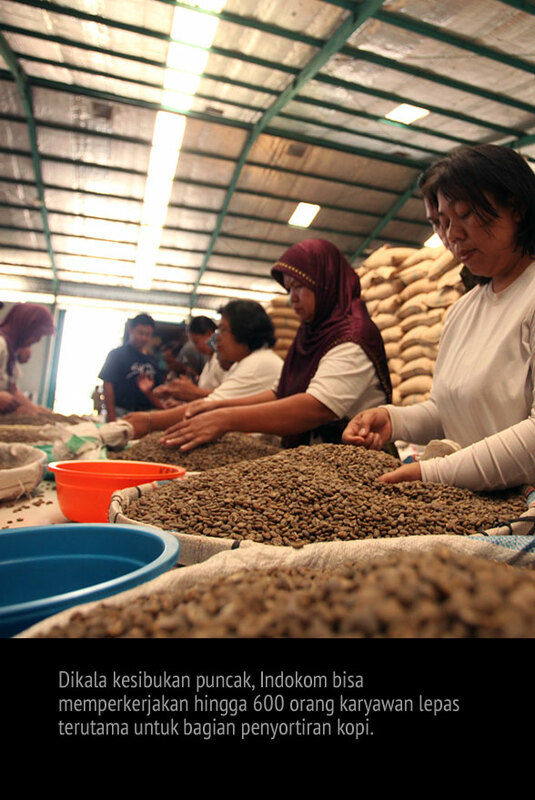 Image 9: In busy hours, Indokom can hire as many as 600 temporary workers, especially for the coffee sorting division. Kunjungan ini hanya berlangsung beberapa jam saja, tapi kami belajar banyak dari Saimi dan Asnawi, bukan hanya tentang seluk beluk eksport kopi. Tapi yang terpenting adalah sebuah etika bisnis yang tidak sebatas jargon belaka, mereka sudah melakukannya sejak lama khususnya bagi para petani kopi dengan apa yang bisa mereka berikan. Kami Petani Kopi di Kab. Manggarai Timur, Prov.NTT selama ini masih mengolah hasil kopi sec konvensional dan slama ini hanya dapat menjual hasil kepada tengukalak setempat. kami sngat berharap dapat dibina dan mnjalin kerjasama dgn perusahaan Bapak. Tks. Kami kami petani kopi arabika di Surian Kab. Solok Sumatera Barat. Nampaknya mesti banyak belajar lagi nih..
Karena kami tergolong hijau dalam perkopian..
apik tenan britae iso wae kang toni iki??? Pak Toni, kalo bisa yad dijelaskan lagi dengan agak lebih rinci mengenai “specialty robusta”. 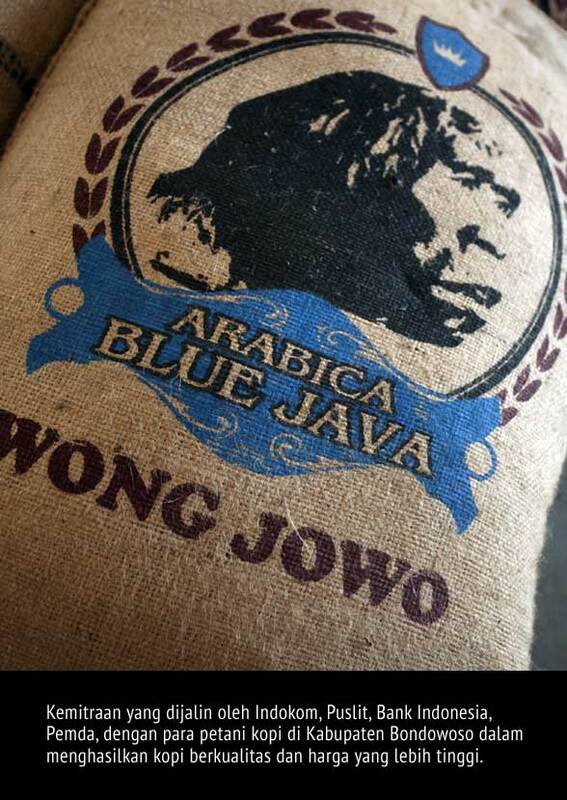 Sebab kalo tidak, nanti akan banyak orang menganggap bahwa kalo biji kopi 100 % robusta kemudian diolah sistim basah nantinya dapat digolongkan specialty robusta. – Sabar ya bu, baru aja pulang dari sana. Nanti saya “ngelmu” lagi supaya penjelasannya gak salah. wah artikel yang sangat menarik… baru tahu sekarang raksasa eksportir indonesia. – Banyak yang sudah dimuat sebenarnya, coba lihat lagi arsip beberapa artikel seperti packaging, cafe, dan pengusaha kopi UKM lain yang pernah saya ulas. bangga rasanya baca artikel ini om, luar biasa negeri kita. ngomong2 sesi cuppingnya ala tubruk ya om? Saya sepertinya setuju sama pendapatnya Philocoffee. Ayo turun ke bawah lagi pak Ton, seperti dulu itu lho. PT Indokom merupakah salah satu perusahaan Raksasa nih, Pak, dalam soal pengeksporan kopi. CSRR yang mereka jalankan sedikit banyak membantu petani yah. Semoga ke depan mereka juga bisa membangun infrastruktur di kawasan perkebunan kopi yang mereka bina lebih massif lagi.